The vital work carried out daily in Australian offices and commercial buildings is often time-critical. That’s why you can’t afford to settle for second best when choosing a building maintenance provider. R&BS have deep understanding and experience with office and commercial building repairs across Queensland and New South Wales. We’ve successfully completed projects ranging from structural rehabilitation work such as masonry repair, right through to maintenance jobs such as installing solar reflective coatings. Whether you needa complete office and commercial roof repair, or simply some cosmetic changes, the R&BS team have the skills and experience to do a first-class job. Every office and commercial building repair or maintenance project is different. That’s why the R&BS team will begin by thoroughly establishing your needs before we begin work on meeting your building upkeep requirements. Our full service offering means we can deliver everything from structural condition reports, right through to photo documentation. Our team will ensure you’re happy with all work carried out – and all our jobs are covered by a 10 year guarantee. 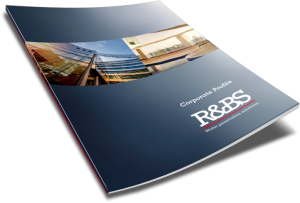 Before every office and commercial project, the R&BS team will carry out a thorough and transparent assessment of the work that is required. This enables us to give you a fair and reasonable quote that meets your budget. For a customised proposal for your commercial building or office, call R&BS now on 1800 550 037 or fill out the contact form below for a fast response.